The PlayStation Classics has returned! 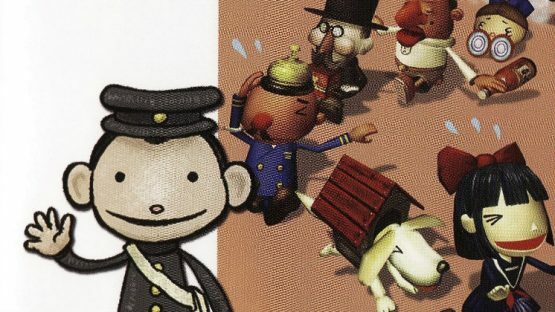 It is time to reminisce about some of the PSOne Classics and PS2 Classics you probably should have played when they first appeared, but still should definitely grab for your favorite compatible console. This week, we are getting weird. Let’s pucker up and learn to love Chulip, a PlayStation 2 Classic available for the PlayStation 3. 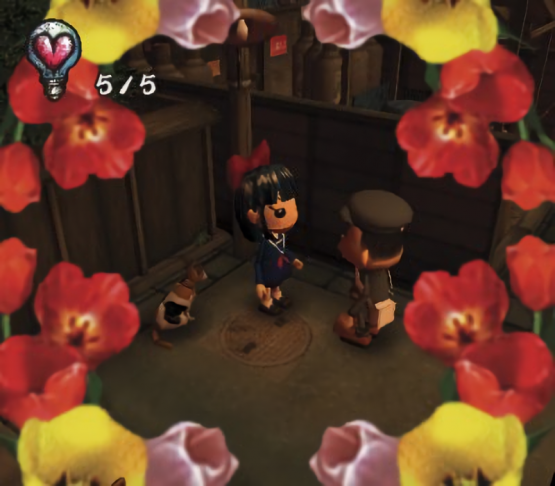 Chulip is an exceptionally weird game about young boy with a crush on a young girl. Not long after he and his father move to Long Life Town, he dreams about kissing a girl under the Lovers Tree. It turns out she is real! So, he is naive enough to think he could just walk up to her and kiss her. (I mean, that may have been a prophetic dream, right?) That is a no-go. Not because it is creepy to think you can just go up to someone and kiss them without considering their feelings, but because the girl thinks he is inexperienced, poor, and a loser. She delivers the smack down on him. Not all hope is lost, however! Our hero falls under the wing of Mr. Suzuki, one of the people who live underground in this actually dystopian society. He becomes a mentor, telling the young man if he kisses enough people, he can become strong and experienced enough to win over and kiss the girl of his dreams. Basically, you strengthen your heart by kissing anyone and everything in a life sim with day and night cycles, a clear sense of progression, and a dystopian world. Do well, and you might find yourself owning a factory and winning over the girl. Here is the thing about Chulip—it is one odd game. Its name is actually a pun, to start. In Japan, “chu” is used as a the kissing sound. So Chulip is kind of like saying kiss lip. Right away, it is informing you that things are going to get weird. Of course, the cast helps reinforce that. The Lovers Tree the hero wants to kiss the heroine under? It is anthropomorphic and has a face on it. Both Yodzilla and Mecha-Yodzilla are Godzilla knock-offs who need a little love. Whenever you meet someone with a name like Eggplant Boy, Onion Lady, or Turtle Boy, you better believe they look like an eggplant, onion, or turtle. Inanimate objects with faces like Retired Bucket or Tin Signboard are ready to smooch too. You also save by visiting bathrooms. Why? I mean, I am sure it makes sense. You are making a pit stop, after all. By the way, one of the bathroom save points is only unlocked after kissing Agony Man, a man constantly screaming in agony with his hands on either side of his face. His hobby is cleaning toilets, and he’ll fix up the one at the train station for you after a smooch. While Chulip sounds extraordinarily silly (and it is), this is also a devastating title. A girl rejecting you because you are a loser with no cash or reputation is one of the gentlest things that can happen in the game. This is a dystopian world where many of the residents live in holes underground. If you dare stay out after curfew, something necessary to kiss people and strengthen your heart enough to advance the story, a police officer might catch you and instantly kill you. If you misjudge the timing on a kiss, you will get a beating and see the strength of your heart diminish. Also, there are certain traps around Long Life Town that will hurt you very badly, but you will not know they are dangerous until they hurt you. Like if a dog barks at you, it scares you and steals away part of your heart’s strength. Some people are exceptionally sad or scary too. Consider Dr. Dandy. Dr. Dandy is the Long Life Town doctor. At night, a strange condition will drive him to roam the streets, looking for blood donations. As you can probably guess, donating is not optional. If you say yes, he will take it and probably deal enough damage to kill you. If you say no, he will ask what blood type you have, giving you a 75% chance of him still taking your blood and killing you. Zombie Mika is a more tragic example. She lives in the Worldly Desire Temple graveyard, where she serves poisoned tea. You have to drink her tea—which definitely hurts you—repeatedly to finish her storyline and get to kiss her. As this questline goes along, you will watch her decompose in front of you. She died in a car accident, and her wish to survive kept her alive in a form that gradually eats away at what remains of her body and her memories. What a downer, right? Chulip may not be for everyone. It can be punishing and confusing. However, this title is also very personable! There were no kissing life simulation adventures before it, and there hasn’t been one since. If you take the time to really get invested, it pays off to immerse yourself in this world and its people. If you want to try out Chulip, then head to the PlayStation Store in North America. That is the only region where it is available, which is kind of odd since it was originally released on the PlayStation 2 in Japan five years ahead of its North American debut. It will cost you $9.99.